Yup. Those are both pictures of me. 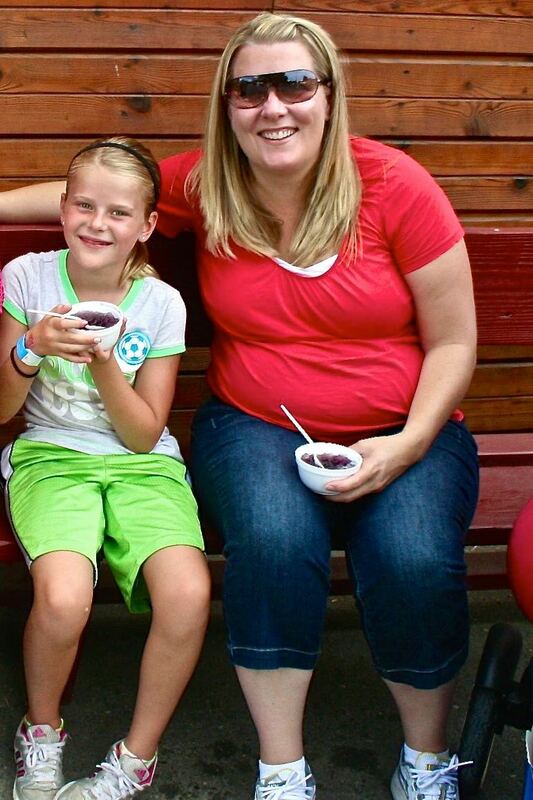 The one on the left was taken at the unhealthiest point in my life. The one on the right was taken a few weeks ago. Last month was my four-year anniversary from the picture on the left! YIPPEE!!! McDonald’s closing more stores than it will open in the US for the first time in over 40 years! YES!!! That gets me REALLY excited!! But anyway, I’m not exactly sure where to begin with my story and I don’t want to make this a super long, boring read. So I’m going to try to just give some highlights and hopefully you can stay awake! I’ve had lower-than-normal energy levels for as long as I can remember. It didn’t become an obvious problem though until I was a teenager. As a high school student, I remember being exhausted always. It became a family joke to see who the unlucky person was that had to wake me up in the morning (let’s just say it wasn’t pretty…). As a college student the problem seemed to get worse. I had experienced ups and downs with my energy levels before, but as a college student I was pretty much a big hot mess. I slept soundly through most of my classes. The drone of a professor’s voice was my kryptonite. At BYU Provo I really did try to study. I did! I remember vividly how I would head to the library most nights in earnest, hoping to make a dent in the mounting stack of schoolwork. I would sit down determined, at a quiet table and crack open a text-book. Obediently I’d start reading the assignment. When I got to the end of the page and realized that I had no idea what I had just read, I would read it again. And again. (Why does reading make you SO tired??) Regardless of my good intentions I always woke up, face down in a puddle of drool. EVERY. SINGLE. TIME. I felt completely frustrated and powerless. At that point it was useless to try any longer and too late anyway. So, half-dazed I would gather my books and head home, only to repeat the process again the next time. The most embarrassing experience (concerning fatigue, anyway…) in college happened during my student teaching. I was sitting in the middle of a one-on-one, face-to-face meeting with one of my supervising teachers. Keep in mind that this woman had a lot of influence over my first teaching job (and I REALLY needed a job!!). We were sitting at a table, the only two people in the room and I zonked out cold mid conversation! I’m talking my head dropped down and I was GONE!! Luckily, I happened to have a cold at the time so the teacher thought I was just sick. She kindly told me to go home and get some rest. Whew! I escaped with some dignity in tact but still – who does that?! Eventually I managed to get through college (with good grades, I might add!) and landed my first teaching job. I was teaching mild to moderately disabled high school students at a huge, tough-ish high school in a big city. It was exhausting and difficult. I remember driving home at the end of each workday literally unable to hold my head up off my seat’s headrest. I couldn’t do it. It was just too heavy. And at least two nights a week I had to come straight home from work, put sweats on and lay on the couch until bedtime. If I didn’t get at least a couple of these nights in every week I simply could not function. I remember once a roommate expressed some concern but I didn’t think much of it. I just figured the job was wearing me out. During school hours I pretty much held it together and I did a good job. But I remember many times walking down the hallways sincerely worried that I was to the point of exhaustion where I might collapse. Thank goodness I never did. Summers were always a blur during my six years of teaching. I pretty much just slept and rested. I was always frustrated that I didn’t accomplish much of anything in two and a half months. But at the time I thought that I had just gotten severely behind on sleep and if I could just get caught up that all would be well. I couldn’t drive the 3.5 hours home to visit my parents without loading up on caffeine. Once I failed to get my usual Mountain Dew and had to pull off the freeway to “rest” because I was falling asleep. I woke up several hours later in a daze and drove the rest of the way home in a fog. I couldn’t stay awake during a temple session to save my soul (ironic…no?). In my religion, we visit our temples and often participate in what is called an endowment session. Just sitting still in the peace and quiet was more than I could handle. I always tried to get a seat next to a wall so that I could lean against the wall to sleep rather than bob my head up and down the entire time. I didn’t want to sleep and I felt badly that I did. But I was completely unable to stop it. I figured it was better to go and sleep than to not go at all. A few times I was in such a deep sleep that I was dazed throughout the session, barely regaining consciousness enough to participate. I must have looked like I was on out of my mind!! Right after the hubs and I got married I took a job teaching 1st Grade that had a 40 minute commute each way. That required me to get up early. This was a bad idea because getting up early did not agree with me. Getting up PERIOD did not agree with me, but especially early. I compare it to waking up from a coma. Not that I ever have personally, but that is as close as I can get to explaining it. In the waking up phase I could vaguely hear far away voices (or alarm clocks) but couldn’t move. I couldn’t give any signal that I was awake and alive for quite a while, sometimes an hour or more. It took me to my absolute limits of self-will to get myself out of bed each morning. Needless to say I was late. A lot. During our second year of married life the Hubs and I decided to splurge and get season ski passes. We didn’t have kids, so why not? We braved the traffic and mountain roads almost every weekend. I wasn’t able to get up early after a full week of teaching (Hubby was very patient with me). Then I’d sleep soundly on the 1.5 hour drive to the mountain. I’d ski for a couple hours and then sit in the lodge for a couple hours. Sometimes I’d ski again after that, but not always. I just remember being so tired. While I was skiing, all I could think about was getting back to the lift so that I could sit down and rest for a little while. Several months later I did a sleep study. My doctor at the time was one of the unusual ones who took me seriously when I told him I was always REALLY tired. I wasn’t worried about sleeping through the study even though I knew they would attach wires all over my body and interrupt me constantly. This was MY THING, man! NyQuil was for amateurs! I had been prepping for this moment my entire life and for once – it was a good thing! I easily slept through the study and sure enough, the doctor found that I had obstructive sleep apnea. What a relief! I had FINALLY figured out my problem! I was on my way at last to more energy and vitality! Everyone told me so. My dad (who also uses a CPAP), co-workers at school…Even the guy who set me up with my first CPAP machine told me how life changing it would be. So, every night thereafter I dutifully strapped that mask to my face regardless of whether I wanted to or not (um…and it was always NOT). I needed this to be my answer. At first it was pretty discouraging because I was even more tired than before. But in the end persistence paid off and I finally had a CPAP setup that worked for me. Did I feel better? Yes. Was it life changing? Nope. I continued using my CPAP anyway (and still do today) because slightly better is better than not better at all. Colton and I remember Weston as a baby waking up in the mornings, happily babbling away in his crib. We remember him being attached to his blankies and sleeping through the night at two months. He was sweet and mellow and easy. Somewhere around two and a half or three years old, I distinctly remember a sudden shift in him. He got extremely feisty, uncooperative and crazy stubborn. He would clench his teeth and refuse to open his little mouth so we could brush his teeth. Every. Night. I tried a sticker chart with rewards and punishments of different kinds. But it had zero effect. Weston also started having major meltdowns on a regular basis – kicking and screaming on the floor when he didn’t get his way. I was surprised at the abrupt change in his behavior but from everything I read it sounded like I should just chalk it up to the “Terrible Twos”. Right around the same time I started to notice a few mild tics. At first it was a sort of throat clearing tic that would happen over and over again when we were in the car. I asked Colton to watch for it since he is well acquainted with tics, having had them himself his entire life. After a drive alone with Weston, Colton told me, “He’s ticking like a clock.” I’ll never forget that statement. It was a painful realization for me. After the struggle and embarrassment that my husband has had to endure throughout his life with tics, I was now faced with the fact that our son would likely have to endure the same. It made my heart hurt. I started researching anything I could find about tics. I found that they were common in people with ADD, which was true for my husband. Since ADD can be genetic, this could be the case for Weston too. I also found out that those small tics could turn into full blown Tourette’s Syndrome, for which there is no cure. But most of the resources, as well as my pediatrician, said that chances were very good that Weston would simply grow out of having tics. Since Weston was so young, we decided to give it a few years to see if the tics would go away on their own. Kindergarten came and the tics were worse than before. At my first parent/teacher conference the teacher asked me about his unusual eye movements. I shared with her that they were harmless tics and told her what my pediatrician had said. But as I left the meeting I knew that it was time to see what else we could do. If it was this obvious to the teacher, it wouldn’t be long before the other kids would start noticing them too. And everyone knows how mean kids can be. If there was anything we could do to spare our son from ridicule – we were going to do it. The pediatrician basically said that if Weston didn’t grow out of the tics then his tics would be considered Tourette’s Syndrome. She said that there were a few medications that might help a little, but that they were typically unsuccessful. This frightened me. The thought of Weston growing up with severe tics and thinking about the social consequences for him kept me up at night. The tics were getting worse instead of better. It was apparent that it was going to be up to us to tackle this on our own. I spent hours on the internet trying to find something that would help with the tics. I read about less stress and better nutrition. At one point I came across a product called “Tic Tamer” which I ordered immediately. We gave him the drops as instructed every day. And…nothing. The tics would come and go in intensity, and every time they disappeared for a short time I would think, “This is it! They’re going away on their own! He’s growing out of them!” But without fail they eventually came back. I remember one time in particular when Weston was around age 6. His tics were acting up terribly and he really appeared to have Tourette’s Syndrome. On Sunday he had to go up in front at church and sing with the other children. I dreaded it. I didn’t want anyone to think he was weird and to treat him differently. I remember praying and praying that the tics would subside long enough for him to get through the program. This time he was blessed and got through without too many obvious tics. I took a sigh of relief. Around this time I decided to get serious about nutrition. I was dealing with health issues myself and I felt it could help Weston too. It certainly couldn’t hurt him! We started buying only organic as much as we could, including candy and treats. It seemed like Weston’s tics got somewhat better but we weren’t really sure. We had a system going to deal with sugar. Let’s face it, when you’re a kid sugar is EVERYWHERE. So our system was that if the kids got candy, they would trade it in for something from our stash of organic candy. Halloween was no different. After trick or treating, we would have a big trading session where the kids traded in their regular candy for organic candy or money. However, on Halloween when Weston was 8 years old – we gave in. We were just tired. So we told the boys that they could eat their candy up and after that we’d go back to only organic sugar occasionally. After the second day of downing as much Halloween candy as they could, our boys were a MESS. Weston was ticing so badly it was frightening. We had never seen him like that before. His head was shaking uncontrollably from side to side in huge sweeping motions over and over and over again. He loves to read but he wasn’t able to read for days because he couldn’t keep his head still enough to focus on the words. He truly looked like someone with severe Tourette’s Syndrome. I was FREAKING OUT!! And Gage, his younger brother was beyond hyper. He was shaking his arms with a fist constantly and jumping up and down, unable to sit in his chair during meals. It was a madhouse! Colton and I just looked at each other like, “What have we done? ?” We had no idea that our healthy diet was helping them so much. At that point it was undeniable and we had a renewed determination to feed our kids healthy food. Potty training Weston was a nightmare. The first time I tried with him was just before he turned two. He couldn’t do it. I did what all the books said. I tried several different methods, but he just couldn’t do it. The only method that worked for him was to keep him naked from the waist down (when he was a little older, around 3). He would use the potty appropriately when he was naked, but the minute he had underwear or anything else on he would pee in it every time. Once I decided that we weren’t giving it long enough to become a solid habit. So we stayed home from everywhere but church for TWO WHOLE WEEKS. I mean everywhere! No store, no play groups, no park, no nothing. After two weeks straight of him going to the potty each time he needed to (and me going crazy with cabin fever! ), we cautiously put underwear on him again. Annnnnnd…he immediately peed in them. Over and over again. Rather than cleaning up a mess several times a day we decided to just put him back in diapers. All day. Every day. Despite many, many attempts at potty training thereafter, Weston went to Preschool, Kindergarten and all of First Grade wearing a diaper all day long. Every single day. During the summers we tried. We took the diaper off and tried to teach him. But nothing worked. And don’t even get me started on pooping!! Suffice it to say that Weston started holding in his poop around 3 years old and never stopped until age 9. It’s a condition called Encopresis. Sometimes it starts from a painful bowel movement or constipation. Sometimes it is caused or accompanied by developmental or emotional issues, especially anxiety. I never knew the exact cause. But what I did know was that Weston’s underwear had poop in them every single day. For years. When a person has encopresis, the new poop will leak out around the impacted stuff and the person doesn’t even realize when it’s happening. What’s more is that they become immune to the smell as well. So we had to constantly be sniffing out poop so we could have him go clean up and change if he’d had an accident. It was so heartbreaking. His bum was raw and blistered from poop sitting on it all the time. He would try to sit in our laps and we’d have to carefully check him over first for either poop or pee. The pillows on our couch smelled like poop from where he’d sat. His room smelled like poop. The laundry room smelled like poop. We tried everything you could imagine and nothing, absolutely nothing helped. There were a few times when I really thought I was going to lose my mind!! I think I’ve blocked it out, but somehow for Second Grade Weston was able to go to school without a diaper on! Hooray!! No more pulling his shirt down constantly so the other kids wouldn’t see his diaper. We were so happy for him! He still had pee accidents regularly, but most of the time they were small and happened at home rather than at school as did the poop accidents. So at least there was that! He was still wetting the bed every night, but at least there was some progress. When Weston started Third Grade I decided to homeschool the kids. No, let me be honest here. God decided that I should homeschool the kids. So I did. Harley was 2, Gage was 5 and Weston was 8. We struggled through the first year, but it taught me some important things. Having my kids around all day every day brought all of our issues out into broad daylight. After that first year I knew it was time to start tackling some of them. First, I felt it was time to tackle the pooping issue once and for all. Weston was now nine years old and this Had. To. Stop. Not only was it gross, but it was extremely unhealthy and dangerous for him. My hairdresser at the time also had a son who had encopresis, so we chatted a lot about what to do. She sent me to her doctor who told us a story of a boy who was 16 and still had this problem. He said that this boy had a hard football sized impaction in his intestines that you could actually feel. He told Weston that if he didn’t get the poop out his intestines could burst. He said that when people’s intestines burst and the toxic material goes everywhere it is often fatal. FATAL??? What??? I was shocked! I had no idea that this could be a life threatening situation! That was it. I decided right then and there that this was going to be the end of it no matter what I had to do. The doctor gave us a protocol to follow. It was similar to the things that I had already tried. It also depended heavily on Miralax as a laxative, and after doing my own research on it I was not a big fan. Not only that, but he said that Weston may need to take Miralax for the rest of his life. WHAT?? The rest of his life? I don’t think so. That sounded like a band-aid rather than a fix to me. I was out to fix this problem once and for all. I joined groups and talked to other moms of kids with encopresis. After one mom’s comment about colonics struck me, we found ourselves at a place that does colon hydrotherapy. We met an angel named Christy who was a Godsend for us. Literally. She was amazing with Weston! The whole thing was very traumatic for him in the beginning (as you might expect!) but I was firm. It might be difficult now but it was a better alternative than dying! Christy patiently helped Weston through it all, giving him calming essential oils to smell and talking him down. She told him her own story about how her intestines actually did burst and how the doctors, luckily, were able to save her life. She was a saint. At the beginning I told Weston that if he would do it I would do it too, and I kept my word. We went back nine times for three weeks in a row. After NINE visits, Weston was finally all cleaned out and ready for a fresh start! Christy and I talked endlessly to him about the importance of getting the poop out and not holding it in anymore. Endlessly! And you know what – it actually worked! A few times after that experience I would see poop in Weston’s underwear and he would admit that he had been holding it in. We would discuss that while it is understandable that this was a difficult habit to break, if he didn’t break it we were going right back to Christy’s office and doing colonics again. “Noooooo!” he’d wail!! And that was it. It only took a few reminders and by some miracle, our poop nightmare was finally over. Weston had always been our “difficult child”, but during our second year of homeschooling things got more intense with Weston’s behavior. He had always had fits of rage but they were getting longer, more frequent and more aggressive. He would stomp up to his room and kick and throw things on his way, screaming angrily, sometimes hitting a sibling and slamming the door behind him. There were times when he was so out of control that I’d end up kicking him out of the house completely, telling him to come back when he had calmed down. He would get frustrated with a project and crumple it up and scream. I had to be careful what I asked him to do. I had to be careful what I put on the table for dinner. Any little thing could set him off. We all walked on eggshells. Sometimes the blow up was resolved by going up to his room until he could calm down, and sometimes he would go outside for a walk. Occasionally Weston would get so amped up that he would scream like he was out of his mind and wail, rolling around on the floor for an hour or more. Nothing we could do could calm him down or bring him back to reality. Nothing. We would just have to get the little kids out of the room and let it run its course. These “nuclear” meltdowns began happening more and more frequently and were more and more out of control. At times we were honestly scared that our child was going crazy. We found an excellent therapist. I went first and got some work done, and then it was Weston’s turn. She was wonderful and really helped us both a lot. At first Weston was resistant to the therapy but became more cooperative as he started to see that it was helping him. One time after a really great therapy session he didn’t have a meltdown for almost four weeks! I couldn’t believe it! He was like a different kid! And then things started going backwards. The angry meltdowns came back full force. Weston was increasingly unhappy, volatile and depressed. He would come to me many days and say, “Mom, I’m depressed.” The therapy wasn’t sticking. We didn’t know what was going on. During Christmas Break of our third year of homeschooling I really wanted to be done with homeschooling. The dynamic in our home was becoming unhealthy and increasingly ugly. I was physically and emotionally exhausted. Colton and I prayed about it. Hard. I had to know that sending the kids back to school was the right thing to do. That it was what the Lord wanted me to do. I had prayed about whether or not to keep homeschooling SO many times before, and had always felt it wasn’t right to quit. But this time it was different. It felt right. The Lord told me in my mind and heart that the boys were going to love school. Colton and I were excited. It felt like it was time for a change. In January I met with the principal right away and we decided on teachers. Gage got the exact teacher I wanted (I had asked other moms’ opinions) and Weston got the same teacher that he had in Second Grade! She was wonderful then and was excited to have him again. Everything was falling into place. The boys started school the second week in January. It was a tough transition, especially for Weston. I knew it would be hard for him, like all changes are. However, near the end of January something happened. It was a flare up like nothing we had ever seen before. One night Weston came running into the kitchen, limping strangely. He said, “Mom! You have to help me! !” It was tics. This time it was full body tics, in his bum and legs, chest and stomach. His whole body was writhing uncontrollably. I was scared. This had never happened before! The only thing I could think to do was to get him straight into the tub with warm water and epsom salts to relax his muscles. Thankfully the bath helped him relax and the tics calmed down enough that he could go to sleep. The severe body tics continued for a couple of weeks. Weston had to stay home from school for four days in a row because they were so bad. He called me from school another time to come and get him because they were acting up so badly. We did a lot of epsom salt baths. I took him to our wonderfully gifted Nutritional Therapist and she suggested a few new supplements to treat parasites. And we prayed. And so did our families. Not only did Weston’s tics act up but his meltdowns were getting completely out of control. He had the tiniest fuse and anything at all could set him off into an out of control, full on rage. The chaos just before dinner was always a trigger for him. Without fail he would scream and stomp off to his room right before the blessing on the food. We got to the point where we would set everything out including the food on his plate, say the prayer and then call him to come down to dinner. Usually if he could just sit right down and eat we could avoid a tantrum. During the worst of these tantrums Weston would lay on his bed or the floor and scream and wail and writhe around uncontrollably, begging for someone to kill him. He said things like ‘he wished he were never born’ and ‘he wanted to die’. One time he started throwing a heavy box on his head over and over again. I asked him what he was doing and he said he was ‘trying to kill himself’. We couldn’t leave him home alone because we were afraid he would hurt himself or his siblings. If he were in the bathroom with a locked door too long I was knocking, making sure he was ok. We were terrified. It was like watching a tortured soul. We felt helpless. What was going to happen to him?? What could we possibly do to help him?? It felt like we were losing him. Like the boy we once knew was slipping away…and there was nothing we could do to stop it. Over the course of a couple of months Weston became unable to function. He was so unstable he wasn’t able to participate in karate or piano and was really only physically present at school. Trying to do homework inevitably ended in the paper being crumpled up or torn to shreds. It was painful to watch him spiral downward. Every time we’d go to karate he would have a huge screaming, crying meltdown or his tics would act up too badly for him to participate. Or both. For most of his first quarter in karate he ended up sitting out in the car while the other kids participated. When we showed up at the boys’ piano recital Weston refused to participate. He sat with his arms folded and an angry grimace on his face. Before we left home he had had a raging fit over something and absolutely refused to play his song that he had prepared for the recital. He became increasingly obsessed with Star Wars and had his Lego table, which was set up with all of his Star Wars Legos in a very particular order. Countless rages ensued as a result of someone touching or moving his Legos. Our entire family was in a state of intense and constant distress. One evening Weston exploded over something. He refused (as he usually did) to use the techniques we had taught him to calm himself down. I heard the front door slam as he took off to go for a walk. After he was gone for about 15 minutes Colton and I realized that it was starting to get dark. We weren’t exactly sure where he had gone, although I had seen him walking down the sidewalk so I at least knew the direction he was headed. Weston had always come back in about 15 minutes before, but not this time. Colton got in the car to go find him. He drove around for 30 minutes and saw no sign of him. By this time it was pitch dark and getting late. We were getting worried. In his state of mind he could be anywhere. Had he done something crazy? Did he hurt himself somewhere and now was unable to get back home? Questions raced through my mind as I waited for Colton to call and tell me he had found Weston. Finally, about an hour later they both came home. Weston refused to talk to me and was still visibly angry. Colton got him into bed and all was well again in the morning. During all of this, I had started asking around in some of my online groups about tics, since that was keeping Weston from school and other activities. In my Magnesium Advocacy group I had read about other moms eliminating tics by giving their child magnesium supplements. I had already been giving Weston magnesium supplements daily for years. We had also started epsom salt baths which seemed to help calm the tics down, but was far from eliminating them. So I got some magnesium oil spray and magnesium lotion and applied it on Weston every day. We didn’t see any difference. So I posted a question in the group about what to do if you were doing all these things and the tics still weren’t going away. I was surprised by the answers I received. Almost every answer to my post suggested looking into PANDAS. I had never heard of it before. What in the world was PANDAS?? I started reading everything I could find about PANDAS. I found that it stands for Pediatric Autoimmune Neuropsychiatric Disorders Associated with Streptococcal Infections. A few websites helped to explain the disorder and its symptoms, and this is the video that we eventually showed to Weston. Different websites had slightly different diagnostic requirements or symptoms, but these seemed to be the basics. I immediately recognized the tics, of course and saw that Weston met the age requirement. Weston’s case definitely had an acute onset (around the age of 3) and was episodic. After all, we were in the middle of the worst episode of his life! The neurological abnormality that he expressed were the tics. It took some investigation into exactly what OCD (Obsessive Compulsive Disorder) consists of, and sure enough we recognized it in Weston. The obsessions (dinosaurs, Pokemon, Star Wars), the sudden personality change with the onset of tics, the ‘arranging compulsions’ with his legos, the perfectionism. Also how he would ask about the schedule and meals for the day over and over again. It all seemed to make sense. The only question left was whether or not these symptoms correlated with the presence of Group A Strep. Interestingly enough, there is an additional list of symptoms that are universally present in kids with PANDAS, although some experts do not use them to diagnose. These symptoms included anxiety, emotional lability, depression, irritability, aggression, severe oppositional behaviors, behavioral regression such as temper tantrums, enuresis (problems controlling urination, day or night), sensory abnormalities (increased sensitivity to light, noises, smells, tastes or textures) and sleep disturbances (Weston had always had a very difficult time falling asleep). I thought of how many times Weston had been triggered by too much noise and how he often wore earmuffs to block out the sound. Or how he fought me tooth and nail about wearing jeans to school because they were too tight and not stretchy. I recalled how in the past month or two Weston had become so anxious that he began a habit of pulling out his eyelashes and now hardly had any left. Once I realized that PANDAS might be the cause of all of this I searched for groups on Facebook. I wanted to talk to people who had experience with PANDAS and to get some advice and support. I happened upon a PANDAS group specifically for Washington State and immediately joined. One mom said it well when she told me, “Welcome to our horrible club.” I was blown away by the experiences that these moms had been through and that many were still going through with their kids. Many of their children were much worse off than Weston, and many had been dealing with more severe symptoms without finding an effective remedy for years. YEARS! It was unbelievable to me. How could they possibly survive it? In this group there were a few moms who had had great success healing their kids under the care of a Naturopath in the Seattle area. It sounded right. We prayed about what to do and felt that we should make an appointment. After calling I was told that the first available appointment was four months away! Four months?? I made the appointment but wasn’t sure that our family could survive that long under our current circumstances. After another week or two I was desperate and called their office again. They suggested coming in to see another Naturopath in the practice who could at least get things started. They got us in for the following week. Weston and I drove to Seattle together on a Thursday. It was a 7 hour round trip in one day. Dr. A was really, really great with Weston. He made a special effort to connect with Weston right from the start. We went through all of Weston’s health and behavioral history. I told him at the beginning of the appointment that I suspected PANDAS. I showed him videos of Weston’s tics and meltdowns at their worst. He took the time to meet with us for two hours. Dr. A made some smart suggestions and recommended a supplement that would detox metals from the body and two supplements for anxiety. He suggested using a neti pot to clear his sinuses and a few other things. At the end of our visit he said that he didn’t think it was PANDAS because of the lack of history of infections and antibiotic use. I felt deflated. How could it be so easily dismissed? Without any bloodwork or strep tests?? I had done my research. I knew that Weston had every symptom except for a documented history of strep. And this was only due to the fact that my kids don’t take antibiotics except in extreme situations, which I thought I had been clear about. When my kids get fevers or sore throats we treat it ourselves at home unless it doesn’t go away for a considerable amount of time. Of course there was no documented history of infection or antibiotic use! We hadn’t seen a doctor for a sore throat or fever in years! Frustrated as I was about the PANDAS issue, I was happy with Dr. A’s protocol and wanted to give it a chance. Besides, I was absolutely desperate at this point. We started Weston on the supplements that very evening and began to see improvements fairly quickly. Weston had a nuclear meltdown the night we got back from Seattle, which I sort of expected because of the stress of the long day. But meltdowns of that degree soon became much more rare. Weston became a little more capable of handling his emotions and his tics, although still there, slowly decreased in frequency and intensity. A few weeks after our visit with Dr. A, our family moved into our new home. We did not have the time to administer any more of his protocol for Weston other than the supplements. But the supplements were enough to get us by and to help Weston out of crisis until we were settled and could do more. Just before we moved, a friend that I met in the PANDAS Facebook group reached out to me. She had three boys herself and had experience with and knowledge about PANDAS and how to treat it with homeopathy. She was kind enough to send me some homeopathic strep remedies for us to try. I wasn’t sure they would have any effect since Dr. A had dismissed PANDAS for Weston. But I thought it would be worth a try. She said that with these remedies her boys’ tics had completely gone away! I wanted that so much for Weston. So we brought the remedies to an appointment with our Nutritional Therapist who muscle tested them for Weston. The higher dosage tested well for him so we started giving it to him the next day. I was doubtful. Colton was even more doubtful. We didn’t see any changes after the first several days. However, after about two weeks we started to see some improvements. The first thing I noticed was that Weston’s tics were almost completely gone! We also started to notice Weston’s behavior improve, little by little. We didn’t talk about it. It seemed to good to be true. The first thing that caught my attention about his behavior happened one afternoon when I went upstairs to take a nap. I left Weston and Harley to play the Wii together – even though I knew it was a bad idea. Those two ALWAYS ended up fighting, but I was too tired to care. When I woke up and made my way downstairs I was taken aback by the sounds of giggling. Giggling?? Much to my surprise the two of them had been playing together happily the entire time! I came into the room and Weston was willingly playing ‘Let’s Dance for Kids’ with Harley (he HATES that game)! He just looked at me and said with a silly smile, “She talked me into it” and kept dancing. I couldn’t believe my eyes! It really struck me as unusual. I had never seen those two get along like that. Ever. I started working on dinner in the kitchen and watched them laugh and play and have a great time together. I nearly cried. Another week or two went by and Weston was becoming more calm. He wasn’t being triggered hardly ever! He was becoming easy to deal with and was no longer throwing tantrums. Things that used to make me brace myself before I said them like, “You need to clean your room” or “You forgot to brush your teeth” became easily received. He was the happiest that I could remember him for at least the past few years. He was cooperating, was no longer depressed, wasn’t wearing his ear muffs at all and was having a few completely dry nights for the first time in his life! Last week he had FOUR NIGHTS IN A ROW that were completely dry!! The change has been so dramatic it almost doesn’t sound real. It truly is miraculous. Truly. It’s difficult to think back to the point only a few short months ago when Colton and I were afraid that our son was going crazy. To know that it was actually an autoimmune response to a strep infection, where antibodies were mistakenly attacking his brain, causing all of the problems he was having is worth everything to us! We finally have our boy back. The joy in that statement is indescribable! He is sweet and happy and thriving again. It’s like an old friend has returned to us, one that we always knew was there – somewhere. I shudder to think where Weston would be today had we taken a different approach. There’s no question that if we had chosen the typical western medicine approach that he would be heavily medicated for his anxiety, depression, mood swings, oppositional defiance, self harm and all the rest. He would certainly have been put on some kind of psychotropic drugs by now, which have a huge list of terrible side effects and whose safety and effectiveness for children is questionable. He would inevitably be facing a lifetime of managing symptoms with mood altering drugs. Even if they did end up helping him, they certainly wouldn’t be fixing his underlying problem. I am beyond grateful that we were lead in the right direction for him. After all is said and done, I am cautiously optimistic. I am not naive enough to think that this is the end of the road. But now we know what we are dealing with. We know what we are up against. And even though Weston may have flare ups in the future from strep or other infections or viruses, I have confidence that we will be able to figure it out. I know for sure that we have been guided to the right remedies for him. I know of many parents who struggle for years to find a remedy that works for their child. But somehow, a stranger on the internet got it right for Weston on the first try?? Coincidence? I think not. Our little family is happy again because we have been blessed through faith and by a loving Heavenly Father. There really is no other way to explain it. Really. We are forever changed as a family and will be forever grateful for these blessings that we have been given. Did You Ever Watch Oprah? Well I did. She used to call them “ah-ha” moments, remember? The moment you really get something. Usually something big, sometimes even life changing. Monday was a rough day. I had another episode of “it’s all too much…I can’t DO this…I never accomplish anything…I am physically and emotionally exhausted…” Yadda, yadda, yadda. Any mom, especially a homeschooling mom, can relate. These happen somewhat regularly around here. So on Tuesday the kids went to the sitter for several hours so I could get a few things done and clear my head. Time to regroup. Again. While driving home from running an errand I was thinking intently about my life. How it is it that it is SO good yet SO hard? Sitting at a stoplight I happened to notice two LDS missionaries walking across the intersection in the cross walk. The thing that caught my eye was the large, yet genuine smiles on their faces. They seemed to walk with a spring in their step that emanated true joy. I did not serve a mission, but I know the stories. Missions are hard. Yes, they are also filled with amazing joy filled moments. But they are incredibly hard. Sounds a lot like motherhood to me. So how can these 18 year old boys walk around with big smiles on their faces? How do they do it? How can I learn to do the same thing? Sitting at lunch with my hubby a few hours later I asked him how he had done it. How was it possible to turn things around and be so happy in the midst of all the hard? And here’s what he said. You learn to not think about life after the mission. If you focus on it too much the days get really long and the weeks go by slow. You joke and laugh about the hard things and stay focused on the here and now. You forget yourself and go to work. And there it was. The beginning of my “ah-ha” moment. 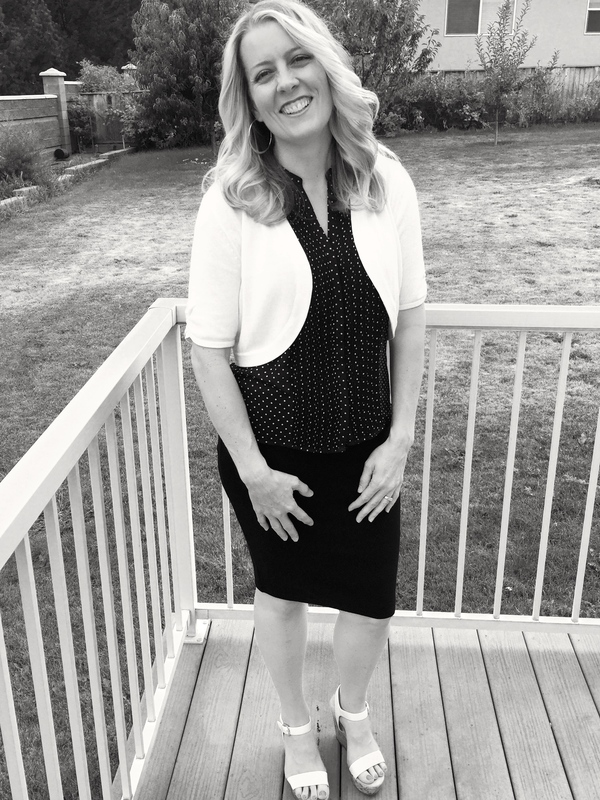 I realized that in my longing for a little freedom, a clean house and some peace and quiet, I had unknowingly been thinking way too much about what life will be like after the kids are grown. I realized that I had not yet completely surrendered to the here and now and had not accepted it fully for what it is. Turns out I have been fighting it for years. Trying to fix it and make it less hard by doing this and trying that. But the truth is – it is what it is and there is nothing I can do to change that. Right now Little Miss 4 year old is going to pull every item of clothing out of her drawers, steal food, make messes everywhere she goes and do her best not to follow directions. The boys are going to pee their beds every single night, rarely be able to focus on any given task, fight with each other and forget to do the same important things that we do every day for the millionth time. There is no book I can read or strategy I can try that is going to make them not be little kids. And that is who they are right now. In a way it feels as if I have thrown my hands up and said, “Alright life! YOU WIN! I GIVE UP! !” But I feel even more as if after ten years of parenting, I have finally learned acceptance. I accept where we are RIGHT. NOW. Even though it is difficult for me, I accept that this is my life right now. And happily, just like that, I have begun to notice a little less frustration and a little more patience winding itself in and out of my days. “It is what it is!” I keep reminding myself. I want so much to be like those missionaries far from home who walk around with smiles on their faces and a spring in their step. So I’m working on it. 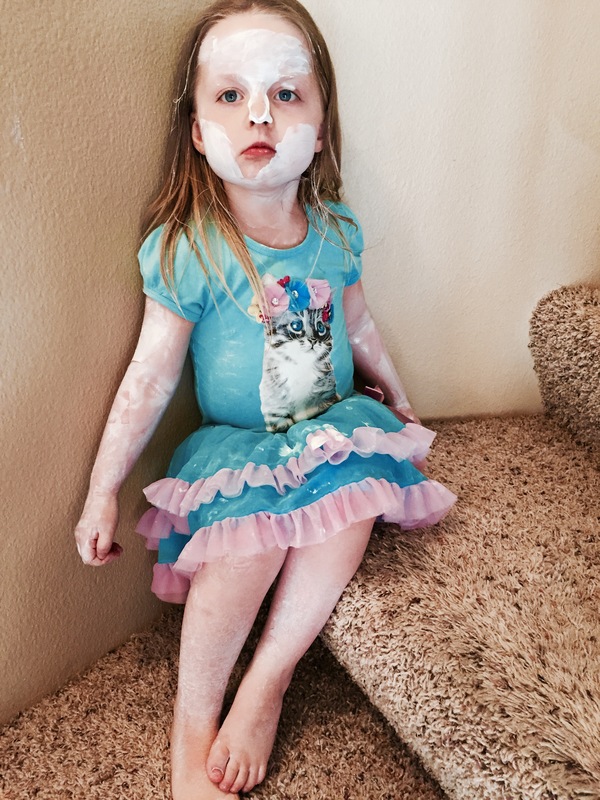 And maybe I’ll even learn to laugh and throw out a joke or two when one of the kids decides to paint themselves green again or smears diaper rash cream all over their body…just maybe. I am somewhat shocked that I’m making my third attempt at blogging. But for whatever reason it has been on my mind constantly as of late. It was all I could think about in the temple recently, and the more I thought about it the more excited I got. So I have decided to give it another go! My intent is to share my story about what I have learned and continue to learn about good nutrition, health, homeschooling and mothering. About life in general really, which includes mostly what’s on that list. As I’m sure you will notice from my posts, I belong to The Church of Jesus Christ of Latter Day Saints and love it. So whenever “church stuff” is applicable to what I’m writing about – it will be there. So welcome. I’m glad you’re here! Thanks so much for stopping by! I am a wife to my awesome husband and mother to three amazing children. I enjoy learning about nutrition and how it can contribute to good health, cooking, baking, gardening, natural remedies, exercise and yoga. A clean house makes me happy but I rarely have one! I love shopping, date nights, girls nights out and going pretty much anywhere. Road trip anyone?